Weeds are undesirable plants growing within a crop and they compete for resources such as nutrients, water and light. Without weed control, crop yields can be significantly reduced. Weeds can also cause further problems by harbouring pests and diseases, interfering with harvest operations, and increasing costs of cleaning and drying the crop produce. Selective herbicides have been derived from a wide range of different chemical classes with varying modes of action that have enabled the yield improvement in key crops such as corn, rice, soybeans and wheat. 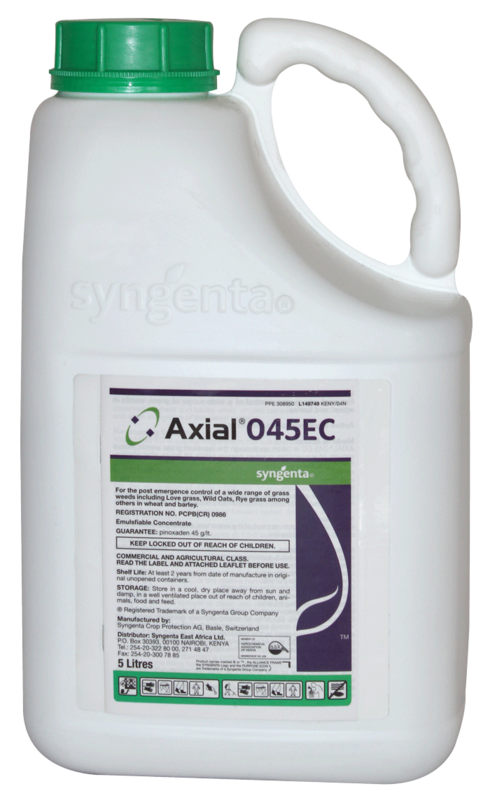 AXIAL® 045EC is the first of a family of tailor-made cereal grass weed solutions to be introduced to growers globally. It has been developed for worldwide use in both wheat and barley and offers unrivalled crop tolerance. Broad spectrum in weed control: Setaria, Wild oats, Ryegrass, Eleusine and others. Convenience to the grower through its flexible application times in varying weather conditions. Compatibility with many broadleaf herbicides. 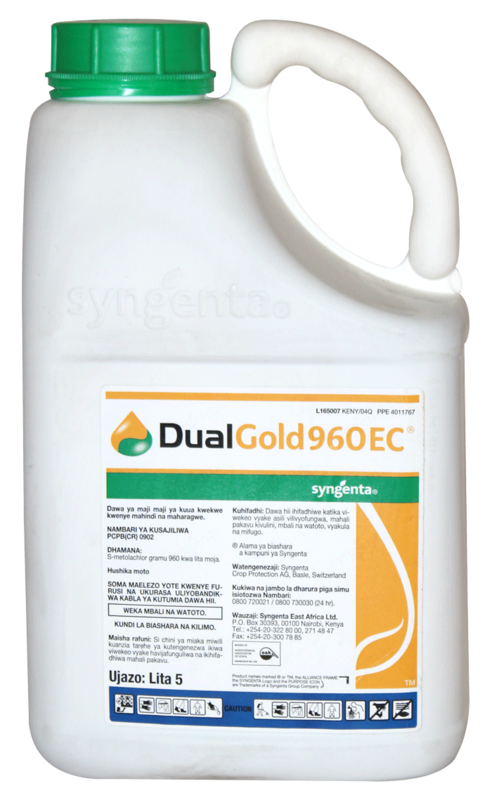 DUAL GOLD® 960EC is a pre-emergence herbicide for the control of annual grass weeds and some annual broad-leaved weeds in pulses, maize and Sugarcane. FUSILADE FORTE® 150EC is a superior post emergence grass weed herbicide which is used in fruits and vegetables. Fusilade Forte is applied when weeds are between 2- 8 leaf stage. 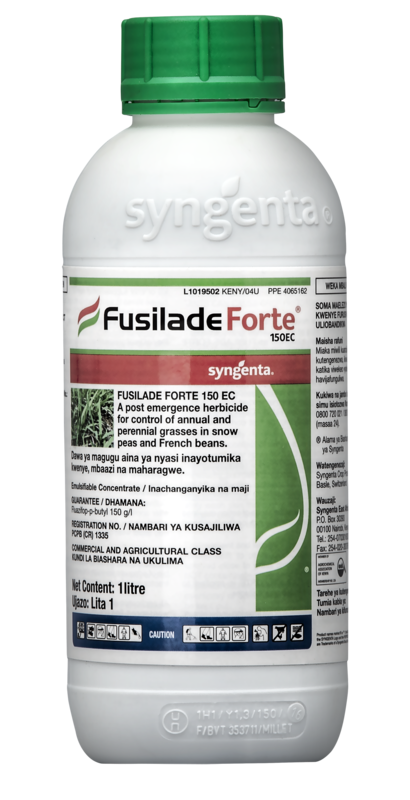 Fusilade Forte kills all germinated Grass weeds and is able to select a wide variety of vegetables and fruits. Optimal penetration hence giving immediate kill of all grass weeds. Economical - gives all season grass weed control eliminating the need for manual weeding. Eliminates competition hence higher yields. 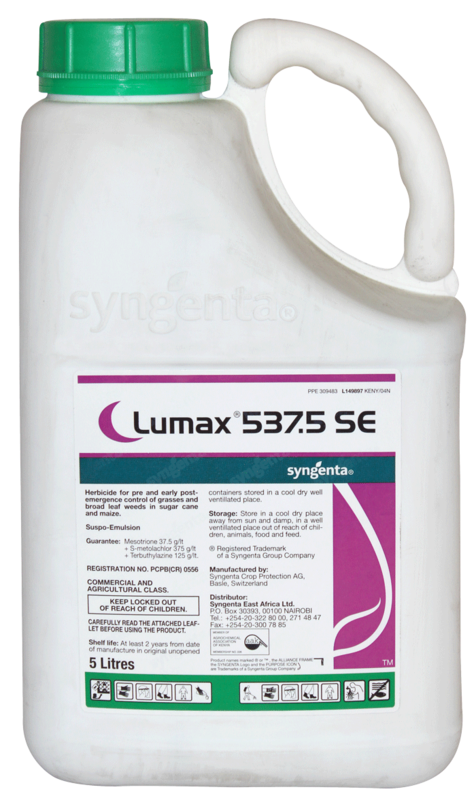 LUMAX® 537.5SE is a herbicide for pre and post- emergence control of grasses and broad leaf weeds in maize and sugarcane. Unique product, with one application rate for broad spectrum weed control. Safe on all varieties of maize and ratoon sugarcane. Flexible application timing pre - or post - emegence of both the weed and the crop. Outstanding long lasting weed control. Suppression of sedges with full control through yearly applications. Use as stand alone post - emergence product. Less weeds escapes than other products. 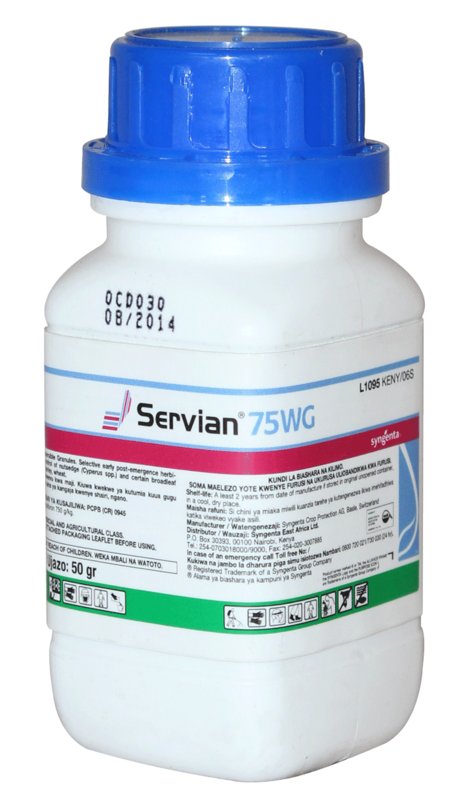 SERVIAN® 75WG is a selective early post-emergence herbicide for control of yellow nutsedge, purple nutsedges and certain broadleaf weeds in barley, wheat, maize and sugarcane. Best and only control of Nutsedges and Oxalis. 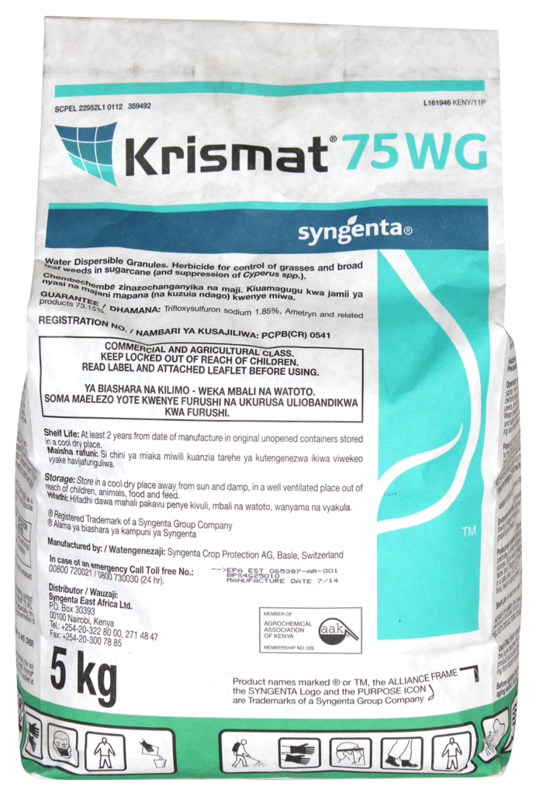 Rate: 5gm/knapsack * use with an adjuvant. 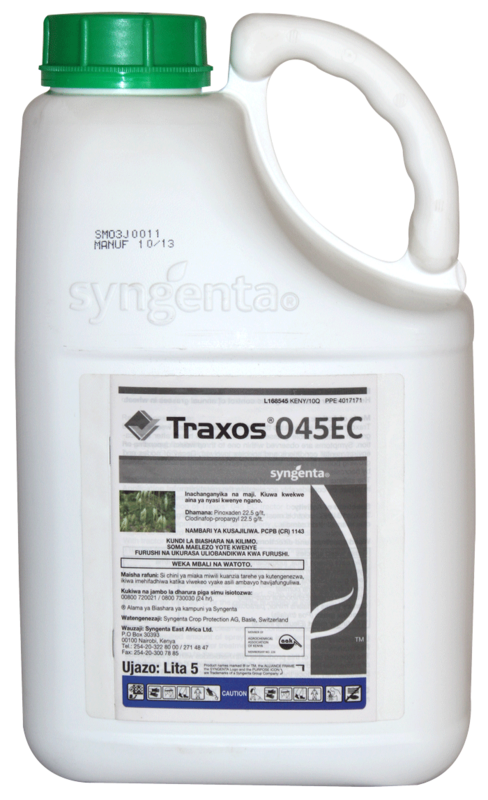 TRAXOS® 045EC is a post-emergence herbicide for control of annual grasses in wheat. Post emergence solution for a wide range of annual grasses affecting Wheat. Safe to the crops and environment due to the Safener. 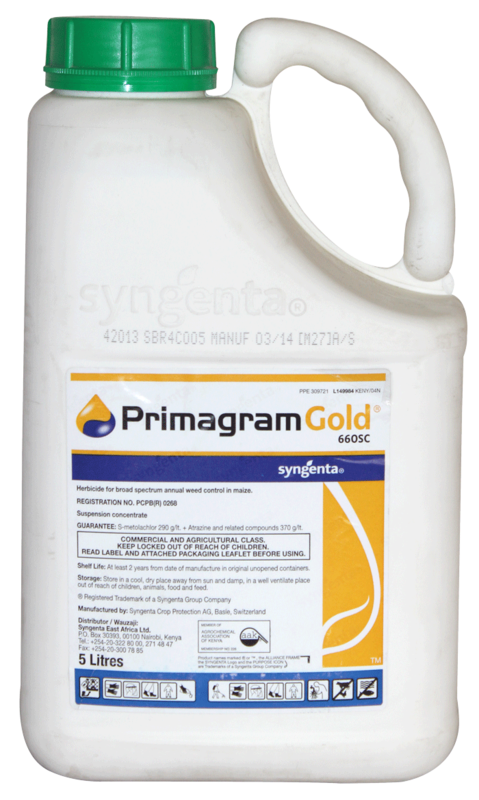 PRIMAGRAM® GOLD 660SC is a pre - emergence herbicide for broad spectrum annual weed control in maize. Provides extended control of both broadleaves and grasses upto harvest. Cost effective as it reduces need for tilling land. 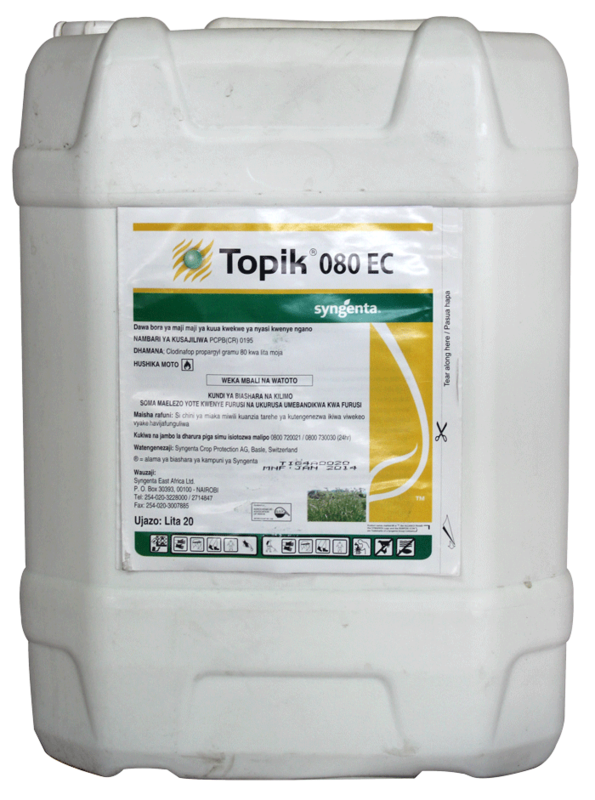 TOPIK® 080EC is a post-emergence wheat herbicide for control of annual grasses like love grass (Setaria spp. ), wild oats (Avena spp. ), wild finger millet (Eleusine indica), Guinea grass (Panicum maximum) among others. Effective control for main grass weeds in Wheat. Wide application period and low application rate.